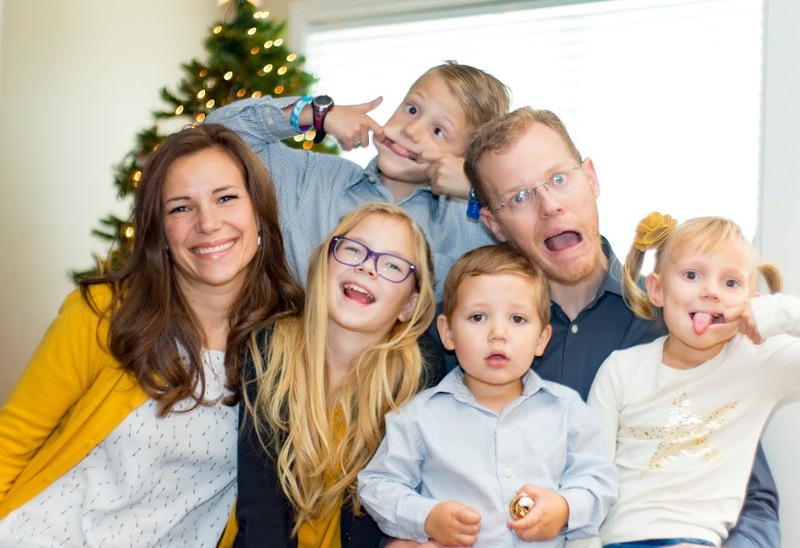 Every year the Peterson's, a couple in our ward, hold a neighborhood breakfast in their yard for everyone in the ward boundaries and their families. It's been a great opportunity for me to meet people I don't usually come across during my regular affairs. The individuals attending are asked to bring something to drink (milk, OJ, chocolate milk) and the paper products they will use. The Peterson's provide pancakes & toppings, eggs, bacon, ham, and sausage. It is a wonderful thing they do each year and we've made it our family tradition to attend since we've moved into the ward. After the breakfast, we went back to the house to cool off from the heat of the day, forecasted at 100F. We debated taking the kids somewhere, but Andrew napped in the middle of the day so we stuck around the house. Once Andrew awoke we decided to check out the Sandy City 4th of July celebration. The heat was unbearable! 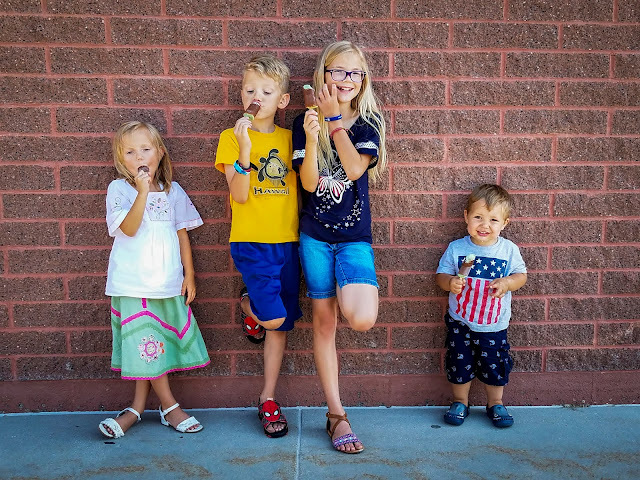 After roaming the promenade and checking out the vendor booths we walked over to Target and purchase some creamies and popcorn for the kids. 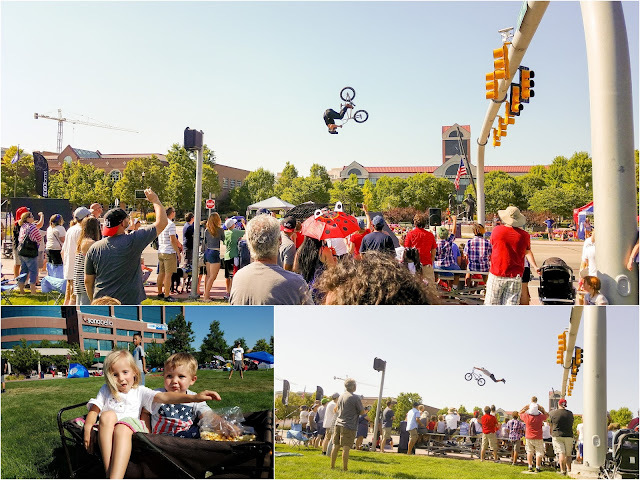 With our ice cream in hand, we walked over to the North end of the promenade to watch some young BMX (bicycle motor cross) performers. They did some incredible tricks on the ramps. The backward 360 jump was by far the most impressive. The heat was too much and we seriously considered leaving but decided to stick it out for the parade. The kids were glad we did. They collected a grocery bag full of candy between the three of them and were fortunate to find a shaded spot right up front. A couple of the floats handed out otter pops, which was a hit with the kids. A window washing company had water misters and bubble blowers hooked up to their trucks. They were my favorite. Andrew's favorite were the marching bands. He loved clapping to the beat of the drummers. The fireworks were not until 10 pm and I didn't want to spend three more hours in the sun for 15 minutes of entertainment and then fight the crowds to get home. 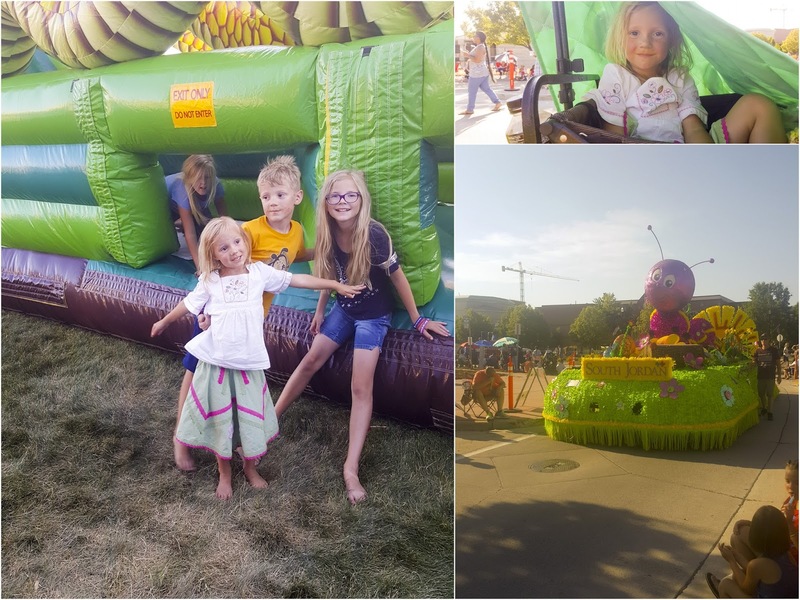 Instead, we let the kids choose their favorite inflatables in the play zone and let them each go through them once. 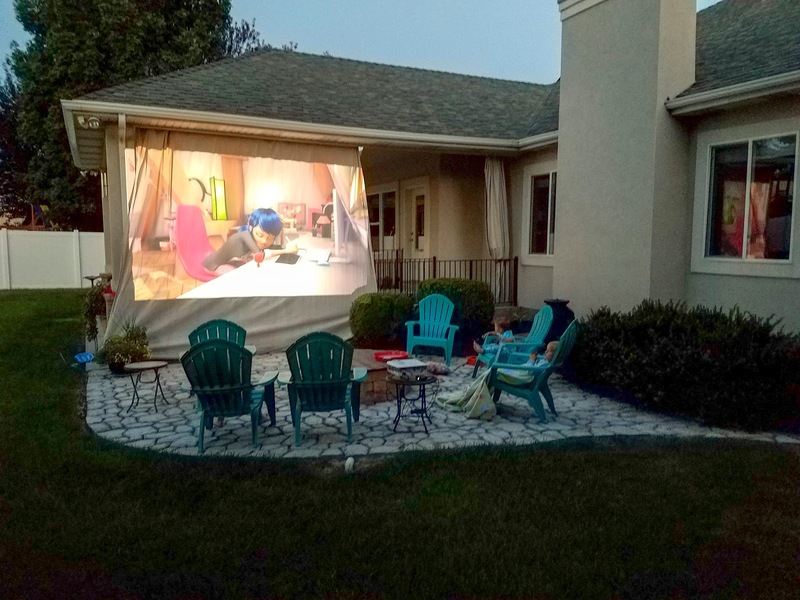 Once home, we set up the projector outside and let the kids have their own outdoor movie and watch the fireworks all around us. It was great fun!